Are you sick of buying bottled water due to a terrible taste of your tap water at home? If yes, then buying a good faucet mounted water filter is probably the best option you should consider. Why? Well, faucet mounted water filters could indeed improve the taste of the water and could also protect you from harmful contaminants. Also, you can protect the planet from further damage by eliminating the biggest source of plastic contamination from your home. **For more details of these products, read below. 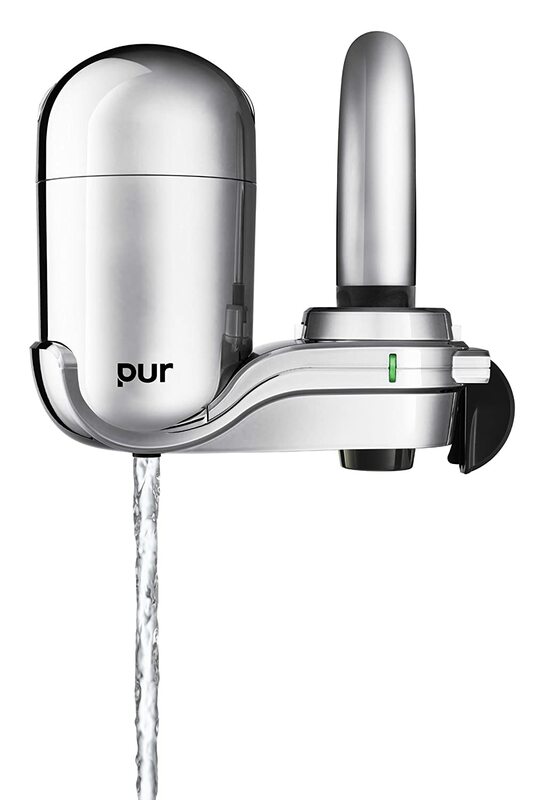 If you are looking for a water filter that only requires a single click, then this one from PUR is the best choice. Indeed a high-tech looking addition to your kitchen sink, this PUR 3-Stage Advanced Faucet Water Filter has been the first choice by many. It needs no tools to be installed; it’s simply attached by pressing it up until the “click” sound is heard. It is simple to use, and it provides a very cost-effective way to get immediate access to gallons of fresh and clean fresh and clean water. In addition, it removes almost 99% of lead and some other substances creating a great tasting water straight from the faucet. In terms of changing the filter, life is made a lot easier. It also features a handy electronic life indicator which shows when the filter needs changing. This water filter is also made from durable materials; it resists the damage from scuffs and bumps in the kitchen. For families that are looking for unrestricted supplies of sparkling and fresh tap water, this one is the best option to consider. This one is indeed a great step up from your general idea about faucet filter as it really delivers in terms of purifying tap water. You will definitely get a seemingly endless supply of clean and tasty water direct from the device. 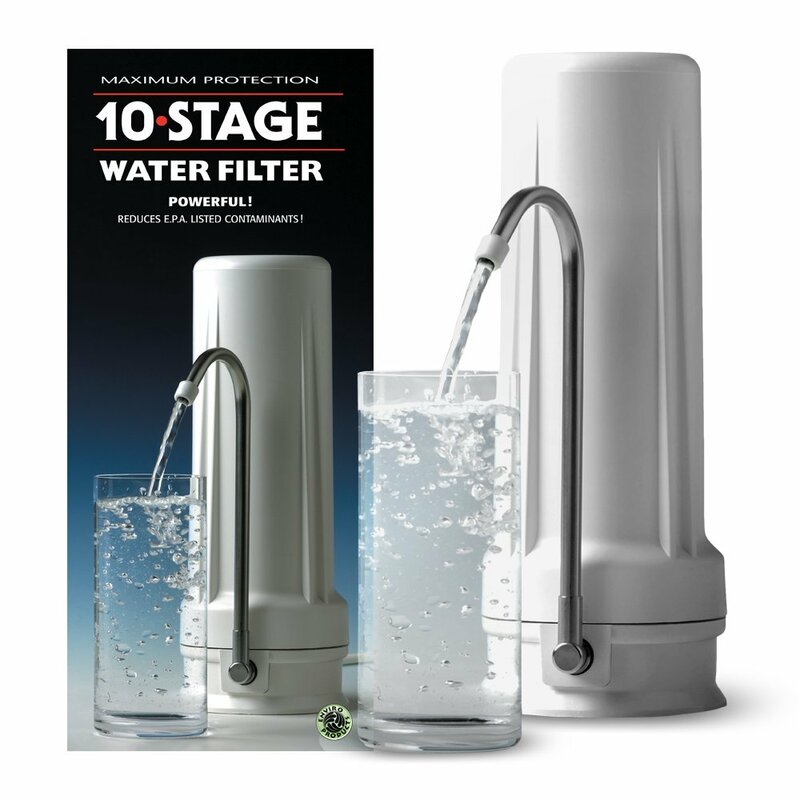 New wave Enviro 10 Stage Water Filter System is directly attached to the faucet. But, as an extra, the kit can be completely hidden under the sink. As for the capacity, the said water filter will provide 1500 gallons of sparkling fresh water prior to the need of changing the filter. It would be more than enough to last a family with four members beyond 12 months. If money is a big factor, then this one from Culligan is the best water filter to consider. If you’re in need of a water filter that will improve the taste of the tap water which won’t empty your pockets, then this one might be the best choice. With this filter on board, you can be sure that the water will taste better and that the contaminants along with odor will be eliminated. In addition to all that, the installation of the device is very simple. This filter is quite compact, so it’s turned it on via diverter tab. It could be installed within minutes with no tools required. This filter also eliminates or reduces a variety of contaminants effective, including sediment, cysts, lindane, and chlorine. Every cartridge would last 200 gallons approximately which you could use for almost two months. If you’re looking for the filter that is the most complete feature-wise, then this one from DuPont must not be ignored. With this filter you won’t have to guess does it need to be replaced. In addition, you won’t waste any more money on those replacements that are not even needed. It has a built-in digital meter which will tell you when it’s time to replace the cartridge so you can enjoy the fresh and filtered water carefree. This water filter from DuPont comes in three finishes so you could easily choose the unit matching your kitchen. It could be installed easily even without tools. It will effectively remove numbers of contaminants. And also, your purchase is being protected by a warranty. If your biggest concern is the price, then this water filter offered by InstaPure is definitely a practical choice to consider. This one is a very affordable water filter for all the people on the budget. In most kitchen faucets, this one installs easily without the need of any tools at all. It’s set up in just a matter of minutes. It is a water filter that also effectively removes bad odors, lead, cysts, and chlorine providing delicious and safe water from the moment you turn on the faucet. Along with the unit, you get a starter cartridge that is so easy to use, and you could also choose between filtered and unfiltered water, therefore, prolongs the cartridge’s life. What Is A Faucet Water Filter? One of those long lines of appliances which serve to improve drinking experience is the faucet water filter. Some other appliances of this kind would include blenders and espresso machines. A faucet water filter is attached right to your faucet. Rather than using complex filtration systems or putting the water in the jug with a filter, with faucet water filter you can get clean and tasty water right from your tap. 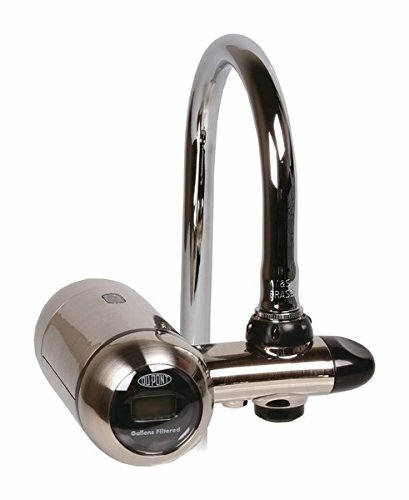 In addition, faucet water filter connects right to the faucet and works every single time the faucet is turned on. These are great options because it can be installed in seconds but won’t affect the functionality of the faucet. Along with that, it is also easy to use since you only need to turn on the faucet. Once you want to make the taste of the water a lot better and also remove the impurities making it safer for consumption, the use of water faucet filter is a wise choice. If you plan on shopping for this kind of filter, you might notice that there are various numbers of sizes, brands, and designs in the market today. These are the ones that are attached directly to the faucet and most commonly used in the kitchen. They are also the most common type, and they remove the impurities from the water at the same time while altering the taste for the better. If you prefer a bit of flavor to the water, you might try a filter which doesn’t only improve the taste of the water but will also add a kick to its flavor. These types would use flavor cartridges that will add fruity taste to the water. It would be like you are drinking flavored bottled water. 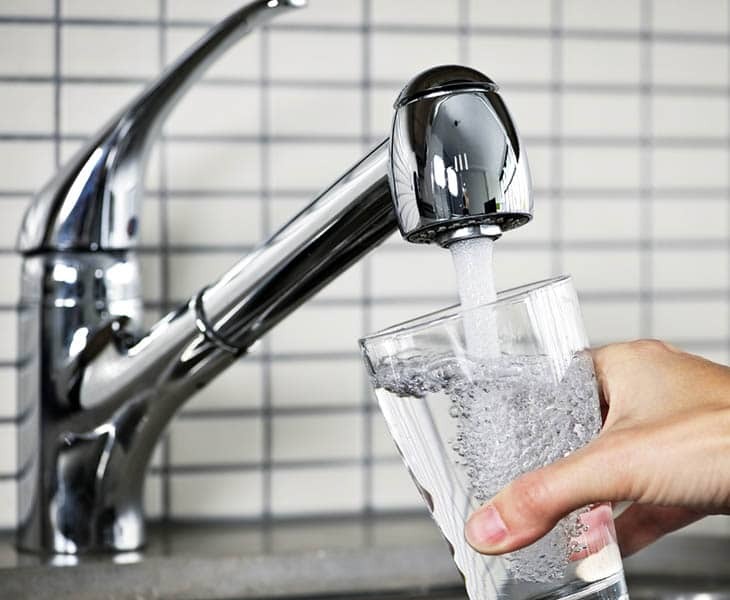 Cleaner Water: A water filter will remove the minerals that are present in the water and would give a cleaner and odorless water which is a lot more appealing to use and drink every single day. Great savings: You can get liter after liter of clean water just for a one-off payment for the filter which can be used throughout the kitchen leading to great savings in the long run. Convenience: A cleaner water that is also a lot more satisfying, you will more likely to drink and use it on a daily basis. Rather than replacing the bottles of water all the time, you can get glass after glass of water with little to no effort. 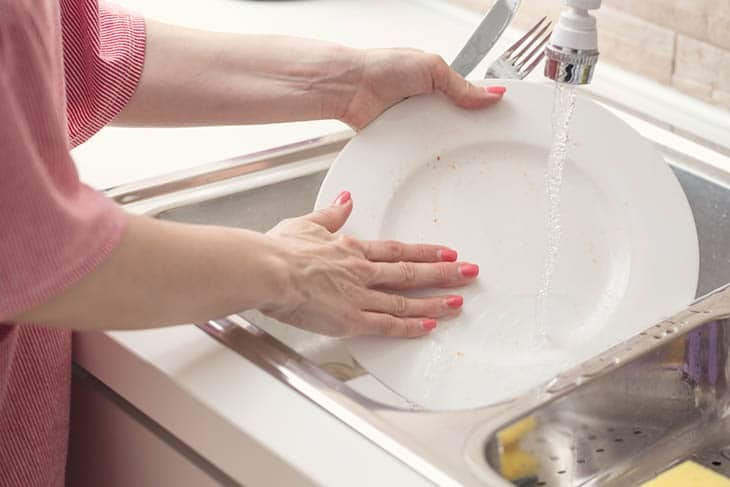 No more stains: With the use of filtered water you won’t stain the kitchenware. And stained items do not go unnoticed to most homeowners, and this would just remove such small headache with the use of water filter. Stop filtering whenever you need: Once you want to disconnect the filter as well as its abilities, in most cases only a small button push is needed, and the water filter would turn itself off. A water filter would need to be frequently replaced than other filtration systems. It would need changing about every three months, but these replacement filters are a bit cheaper anyway. There are some models that might give a slow water flow, so you need to choose the best one. Prior to buying, you should check the specifications of a certain model ensuring that it would fit the faucet you have. Those are the benefits and the drawbacks once you consider the use of water filter. If your tap water has an unusual taste and strange odor, then you might need a water filter which will improve both the smell and the taste of the water. The amount of water needed to be filtered should be considered. If you use only a small amount every day, then it would be better for you to use a filtering pitcher. A counter-top or the under-counter filtering unit is needed for larger amounts of filtered water. But for the majority of people, a faucet mounted water filter is a great choice. Since we don’t actually know what is in the water, the water filter should have the ability to remove the contaminants from the water. 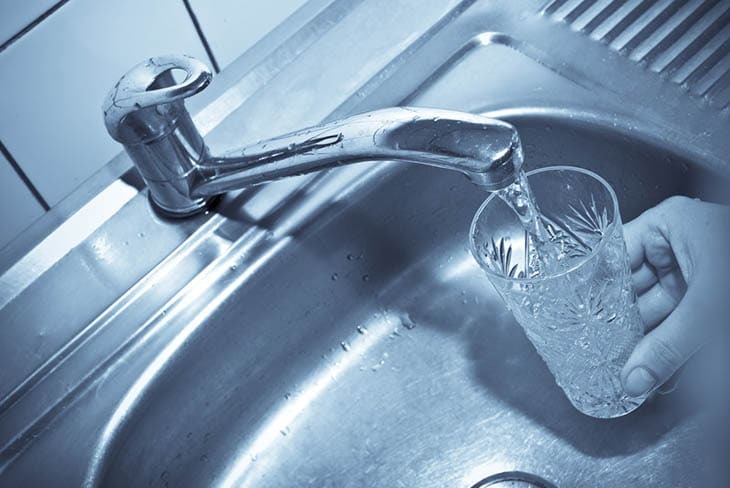 The National Drinking Water Database could help in determining the unwanted substances in the water. After that, you can compare the filters and choose the one that excels in the said role. Being an extension of the water fixture, there is a high possibility that it won’t look natural in the kitchen. There are numbers of filters that are available in chrome, white, black, or the brushed aluminum finishes. Most of the filters should be replaced at least every 2 to 3 months, and they are particularly rated by a number of gallons of water that they could filter. Bear in mind that replacement filters costing the same as the entire unit might not be a great choice. And finally, most faucet water filters could be reasonable in price, but the price isn’t always associated with the filtering performance. Simply consider a great water filter based on your budget. Bear in mind the above-mentioned factors once you plan to shop for the best water faucet filter for you to have a safe tap water as well. 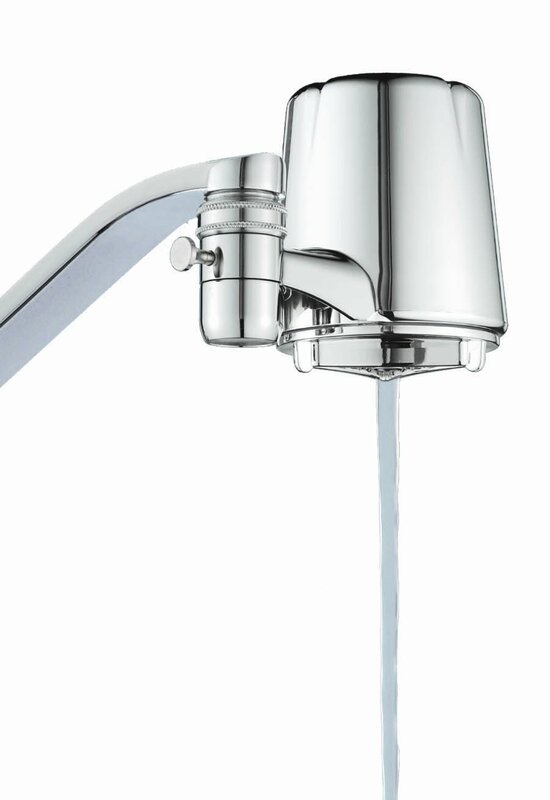 How To Install Faucet Water Filter? Shut off the water supply. It would be the best that you shut off the water valves located under the sink just to be sure no water will come out if the faucet is turned off. 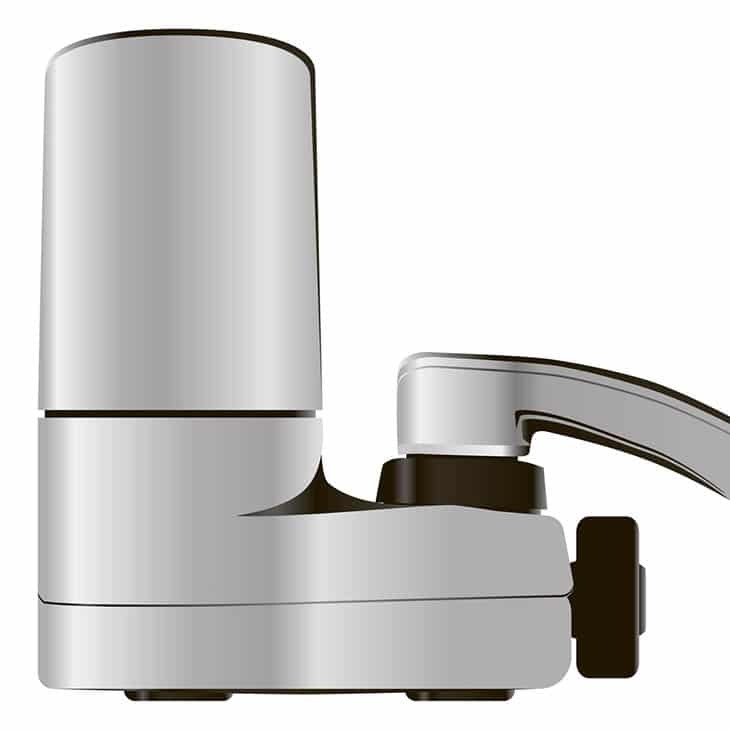 The threaded aerator is located on the end of the faucet which can be removed. Simply, wrap a cloth around it to protect the faucet then loosen it using a pipe wrench and spin it off by hand. 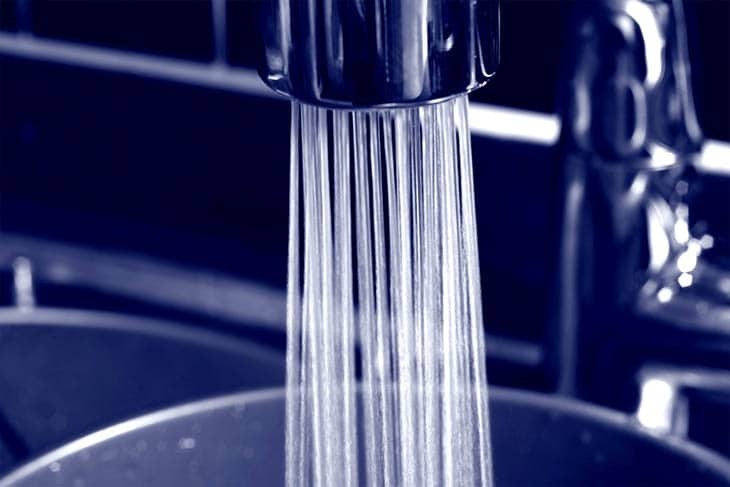 Clean the residue off from the threads which are at the end of the faucet right after the aerator has already been removed. Check the parts and determine if there is a need for an adapter. Now, you have to take all the parts out from the package which the filter would come in and lay them on a cloth on the counter that is next to your kitchen sink. Also, you have to take a look at the sink faucet threads and identify the needed adapter piece. There are instructions in the manual that would help you a lot. It will also tell you which piece you actually need to thread to the water faucet. And it’s time to attach the water bottle along with the enclosed filter into it to the part that you just threaded on the water faucet. Attach some other needed parts. And finally, test, in order to make sure that there are no leaks and the water flow, is good. Simply follow these steps when you purchase a new water filter. Still, the help of experts might as well be considered. Can water filter really improve the taste and quality of the water? Yes, definitely! It will reduce specific toxic chemicals like herbicides and pesticides. It also reduces contaminants such as heavy metals. Which type of water filter is great for hard water? Any of the water filters must be sufficient for hard or soft water. How long should I use a filter cartridge for? As for achieving optimal filter effect, there is a need to replace the filter cartridge at least every 4 weeks. This useful lifespan would also depend on the quality as well as on the degree of hardness of the tap water. When I install a faucet water filter, will the flow of water be at the same rate? Filtered water would flow at a slower rate compared with the unfiltered water since the media restricts the water flow. This would help the filter in order to trap the unwanted contaminants. 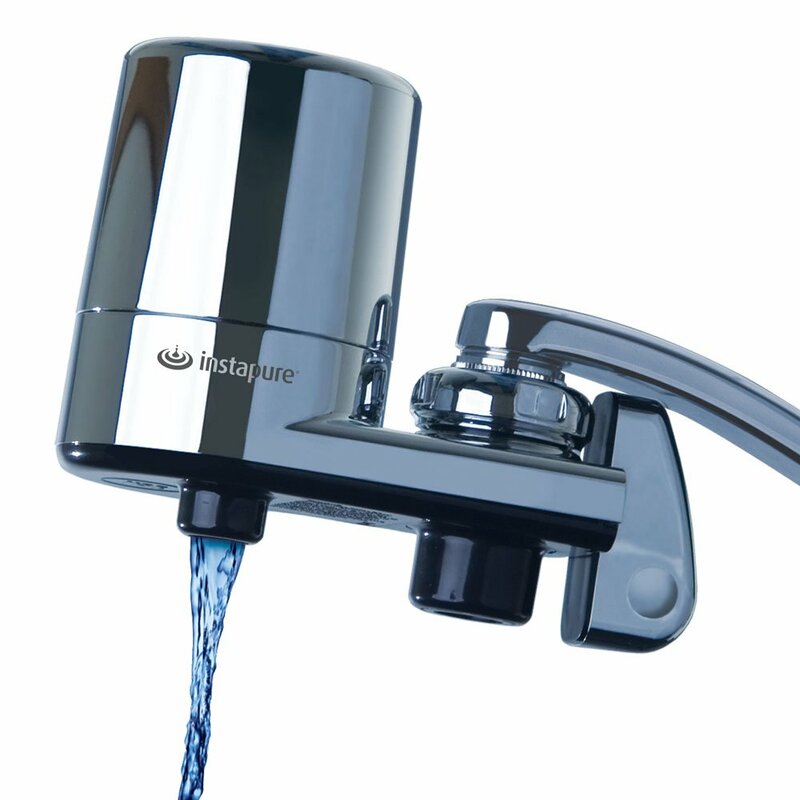 Though there are wide options in the market today and some of the best options are provided below, PUR 3-Stage Advanced Faucet Water Filter stands out from all of them. Why? Well, aside from being one of the best sellers of faucet water filters, there are numbers of reasons why it sits on top for me. It has great features that every user might be looking for, and the ease of use and installation seems to stand out from the rest, which is why this water filter is the best choice for me. 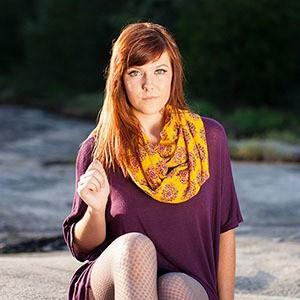 The price of this item is also reasonable enough that many customers can afford to buy. And the quality of filtered water is definitely guaranteed by this product. 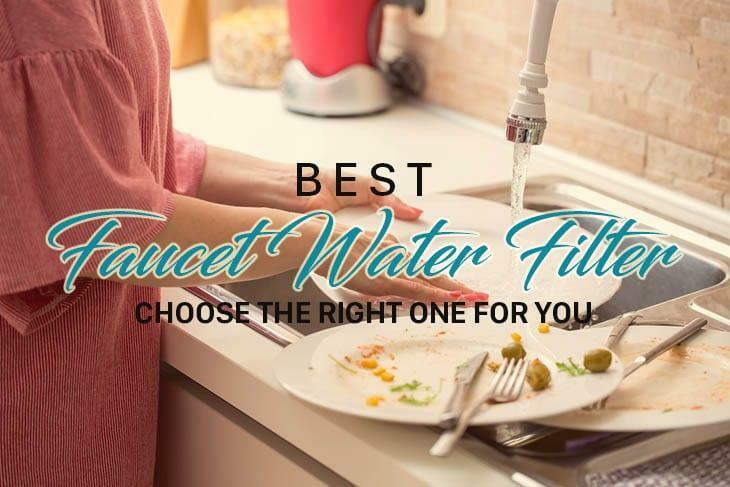 Stop spending your money on bottled water rather enjoy your own fresh water right from your faucet with the use of the best faucet water filters. They are a convenient way to have clean drinking water right from the tap. Use this buying guide and reviews to come up with a wise and practical decision. We will be happy to hear your thoughts on the topic. Please leave your comments below and hit like and share too! Happy reading! You Might Also Like : How To Find The Best Masticating Juicer?